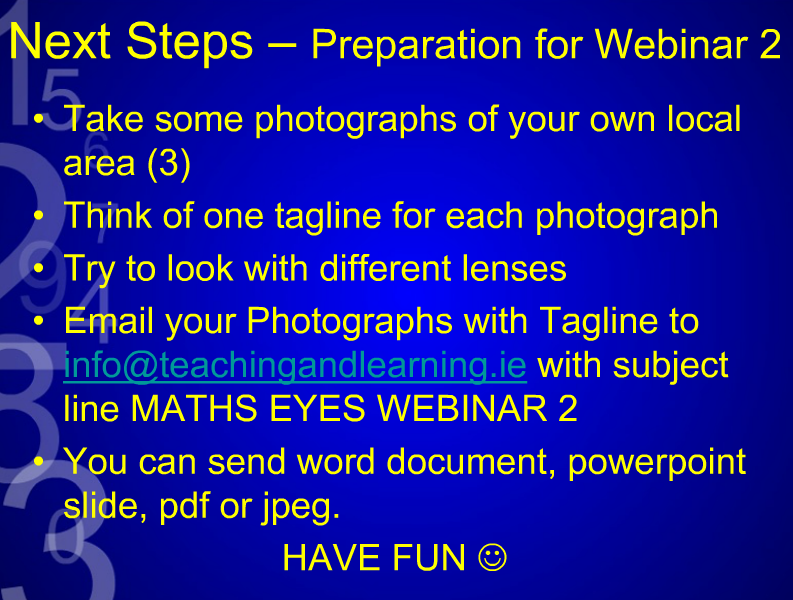 In Webinar 2 the photographs that you have submitted will provide a starting point for a discussion to develop a range of innovative and creative taglines for each photograph, using different maths lenses. Terry Maguire PhD has been involved in adult education for almost 25 years. She is currently the Director of the National Forum for the Enhancement of Teaching and Learning in Higher Education, Ireland. 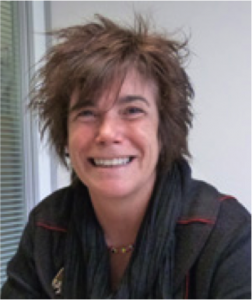 Her research interest includes identifying good models of professional development for tutors of adult mathematics; uncovering the hidden mathematics of the workplace and contributing to setting up a coherent framework for adult mathematics in Ireland. 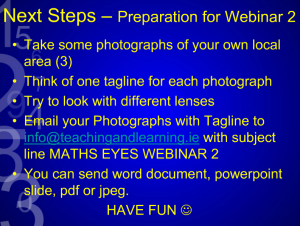 More recently she has launched an innovative approach to teaching mathematics ‘Developing Maths Eyes’ that is been used in primary, post primary schools and adult education centres in Ireland. Please check out www.haveyougotmathseyes.com for more details. The webinars will all be run using ADOBE Connect which provides a virtual classroom for each session. In order to participate all you need is a computer with a key board and a connection to the internet. A set of headphones would be useful to enable you to help you hear without any background noise but they are not essential. You will be expected to participate in the session by responding to questions and activities using your key board. Once you click on the link you will be asked to register as a guest (use your full name so others know who they are working with). You can test that you can access the classroom in advance of each session.